Applegate was born in Michigan in 1956. Since then she has lived in Texas, Florida, California, Minnesota, Illinois, North Carolina, and after living in Pelago, Italy for a year, she has moved back to Southern California. She has an eleven year old son named Jake Mates, although she says the Animorph leader is not named after him. In 2003 she and her husband, Michael Grant, her co-author on many projects including Animorphs, adopted their daughter, Julia, in China. Following the end of Animorphs, Applegate took three years off. 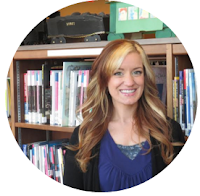 She is back at work and has written a picture book called "The Buffalo Storm," a middle reader novel called "Home of the Brave," and an early chapters series "Roscoe Riley Rules" with Harper Collins. Her book "Home of the Brave" has won the SCBWI Golden Kite Award, the Bank Street 2008 Josette Frank Award, and is a Judy Lopez Memorial Award honor book. 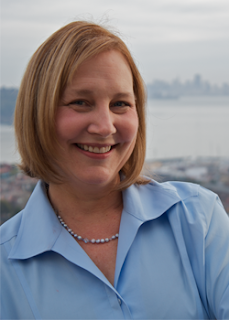 Applegate is also the author of the 2013 Newbery Award Winner, "The One and Only Ivan." Crenshaw was a story with more depth than I expected. This book deals with issues of homelessness and financial hardship from the perspective of a child. It's beautiful and heartbreaking. Jackson likes facts. He loves science because he finds it tangible and exact. To him, everything has an explanation to some degree, regardless of how impossible it may seem. 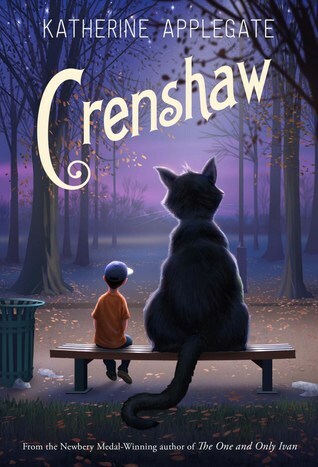 But then his imaginary friend from his childhood shows up, a very large cat named Crenshaw. Somehow, Jackson can't explain his reappearance. Crenshaw reminded me very much of the Chesire Cat from Alice in Wonderland. He's large, mischievous, and clearly up to something. But that's what makes this story about so much more than just poverty. It takes the struggle of losing one's innocence to life's troubles and turns it into dealing with those troubles in a childlike way. Although Jackson tried to reason through things at his young age, somehow the wonderment of his childhood was still planted somewhere in his imagination. Whether because it was his fear of his family having to live in their van again, or because Crenshaw was an actual creature that existed, it added a sweetness to the sadness of the story. I loved how this was a gentle version of dealing with poverty. It gives an introduction to such topics for early readers without getting too heavy to the point of controversy. That doesn't mean it lacks in content, though. I especially enjoyed where Applegate integrated the library as a source of comfort. The only thing I would complain about is that I actually expected more of Crenshaw. I was a little disappointed when I realized there was less of him than I was expecting. Perhaps if I read it again knowing what exactly the book is about that'll change, but I expected his part in the story to be a little bigger. This is a wonderful book to add to your collection. I've already ordered it at work and even put together a book club kit for it. I look forward to seeing what my kids have to say about it! Highly recommended.